Historically, Wakefield was known as the key corner of the Rhubarb Triangle (Yorkshire Forced Rhubarb was awarded Protected Designation of Origin status by the EU in 2010), but nowadays it is also being marketed as part of the Yorkshire Sculpture Triangle, as two of Britain’s greatest twentieth-century sculptors were born in the area, Henry Moore in Castleford (in the rhubarb triangle) in 1898 and Barbara Hepworth in Wakefield itself in 1903. 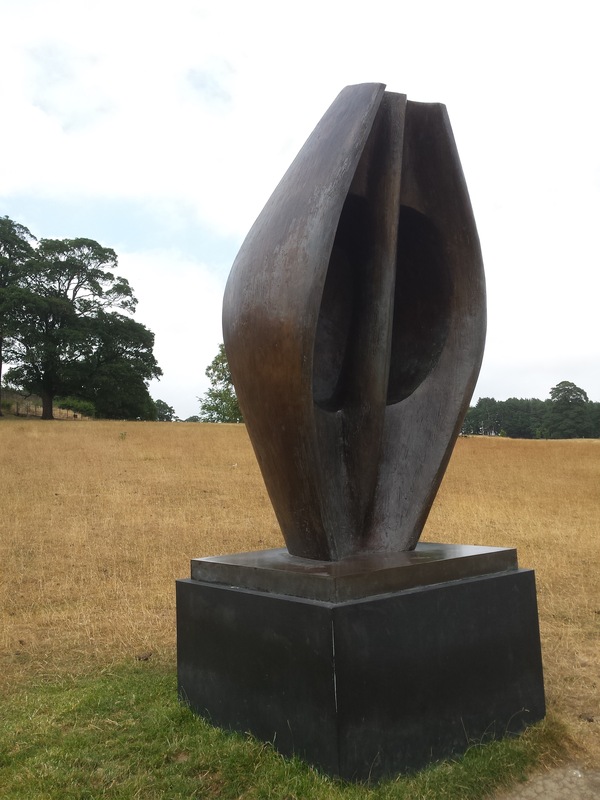 I recently visited all three corners, the others being at the Yorkshire Sculpture Park (just outside Wakefield) and at Leeds Art Gallery (incorporating the Henry Moore Institute). 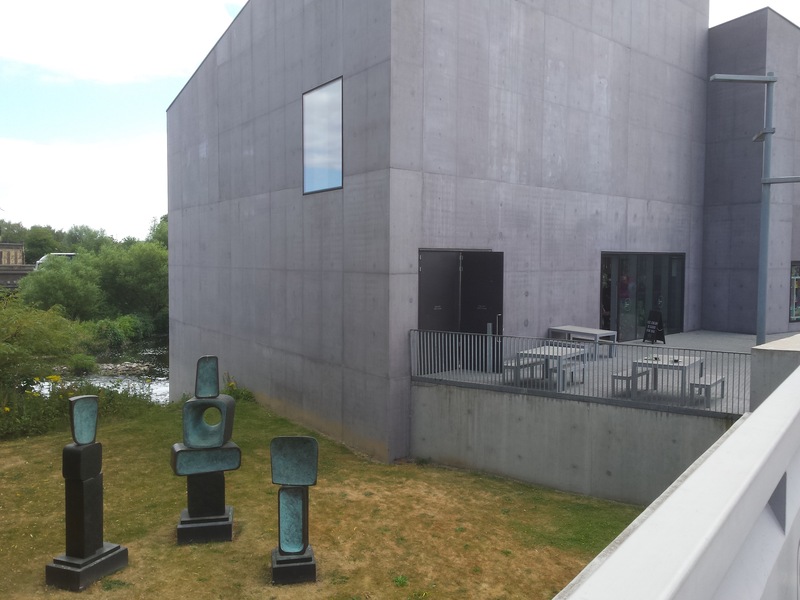 In Wakefield, the city’s art gallery (originally founded in 1923) moved in 2011 to new premises and now calls itself The Hepworth – it achieved a huge impact and was Museum of the Year in 2017. Rising out of the River Calder by an unimpressive weir, and looking across at the less attractive environs of Wakefield Kirkgate station, the museum, designed by David Chipperfield (whose fine work I’ve come across across the world, from Berlin and Essen to Anchorage), has a fairly anonymous exterior but good exhibition spaces. The collection features a good range of early-twentieth-century English artists such as Spencer Gore, Roger Fry, Ben Nicholson and William Scott. There’s a room dedicated to Moore (including the intriguingly Hepworth-like Stringed Figure and Bird Basket (both dating from 1939) and several rooms on Hepworth, with plenty of background on her working techniques. Of course, she moved to St Ives (Cornwall) in 1939 (with Ben Nicholson), where her studio, now managed by the Tate, is a popular attraction. From medieval times Wakefield was a prosperous centre of the wool trade, establishing itself as a inland port on the Calder, and from the nineteenth coal mining was important too; Wakefield gained a cathedral in 1888, and was capital of the West Riding of Yorkshire from 1889 until 1986. 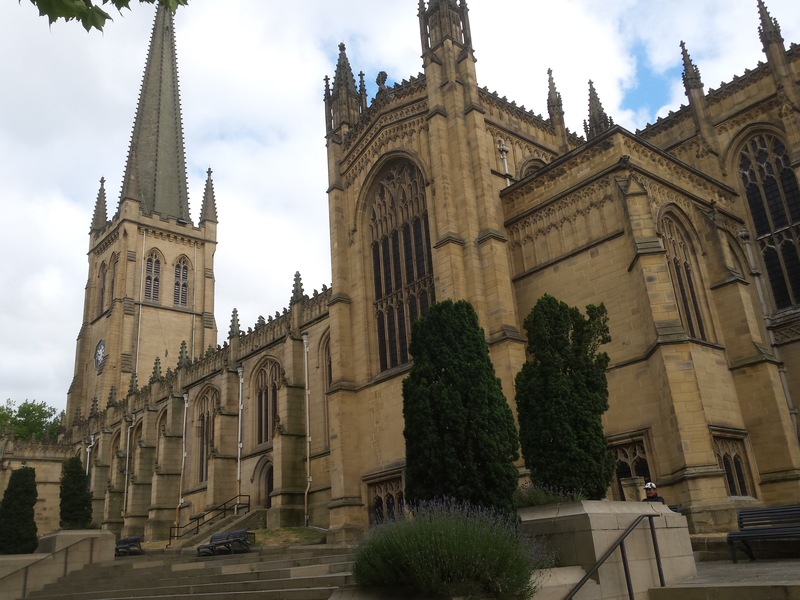 However the coal pits closed and the city was increasingly overshadowed by Leeds, now firmly established as the regional capital, and the diocese of Wakefield was dissolved in 2014, to put the final stamp on the process of decline. Even so, I was pleasantly surprised by the cathedral, in reality a parish church that gained cathedral status in 1888 but seems not to have lost it when the diocese was dissolved. An extension was added in 1905 by John Loughborough Pearson, who also built Truro cathedral, and the high altar was added by his son Frank. Another medieval highlight is Wakefield Bridge, near the Hepworth, with its Chantry Chapel, both built between 1342 and 1356 – the chapel is now one of just four surviving bridge chapels in England, and oddly enough I cycled past one of the others, in St Ives (Cambridgeshire) just a month or two back. This is close to the rather optimistic Wakefield Waterfront, a few warehouses being revitalised near The Hepworth, where a Riverside Garden is also being developed. Near Westgate station, a rather more dynamic area than that around Kirkgate, a modern library opened in 2012, and The Art House took over the old library on Drury Lane, offering fully accessible studio space and an exhibition hall; however The Orangery, right by the station, has closed. Although it’s busier than Beverley, which I visited a few days later, the area still bears the scars of the pit closures – but I’ve seen some great stories about the fight against obesity here, in children and others, and schools are busy setting up wild gardens, along the lines of those I saw in Todmorden (and in Liège). I don’t want to say much about the Yorkshire Sculpture Park – it’s wonderful, with lots of sculptures (what else) by all the big names (Moore above all) dotted around some lovely parkland, as well as a few temporary indoor exhibitions, and it seems to me that it’s best to call in from time to time and see a bit of it, rather than trying to see everything in one go. In the big city, the Leeds Art Gallery also specialises (after the Rodin and the Calder by the entry) in twentieth-century British art, including Auerbach, Bomberg, Matthew Smith (two rather good paintings), William Roberts, Wyndham-Lewis, Gertler, Lowry, Brangwyn, Sutherland, Clausen, Orpen, Lavery, Sickert, Wadsworth, Paul Nash, Leon Kossoff, Paula Rego, Bacon, Blake, and Lubaina Hamid (who is suddenly everywhere after winning the 2017 Turner Prize). There are also a couple of artists that I’m more familiar with through their Cornish connections, Atkinson Grimshaw and W Scott Tuke (born in York in 1858, and the founder of the Newlyn School – though most of his paintings are of Falmouth Harbour). There are also half a dozen paintings by Jacob Kramer (1892-1962), born in Russia but regarded as a key figure in the Leeds collection – although I don’t think he really cuts it on the broader stage. Some foreign artists are represented, such as Vuillard, Derain, Gaudier-Breszka, Diego Rivera and Naum Gabo, as well as four paintings by Jack Yeats (brother of the more famous William Butler) – he was really very talented, but these are not his best. But of course, the sculpture is the important thing here, and the LAG and the next-door Henry Moore Institute (you can walk through from one to the other) have built up one of the world’s strongest collections of sculpture, covering the last two centuries but especially strong between the years 1945 and 1965. Sculpture’s not altogether my thing, but I noted the pieces by Epstein (Maternity, created in 1910 for the British Medical Association building), Hepworth, Canova (his last version of Venus, 1817-20), Lynn Chadwick, Pasmore, Paolozzi, Mary Martin and Richard Long. The LAG’s former sculpture court (originally the city library’s main reading room) was renovated in 2007 and is now the Tiled Hall Café, of note both for the lovely décor (yes, tiles do feature) and for its food. 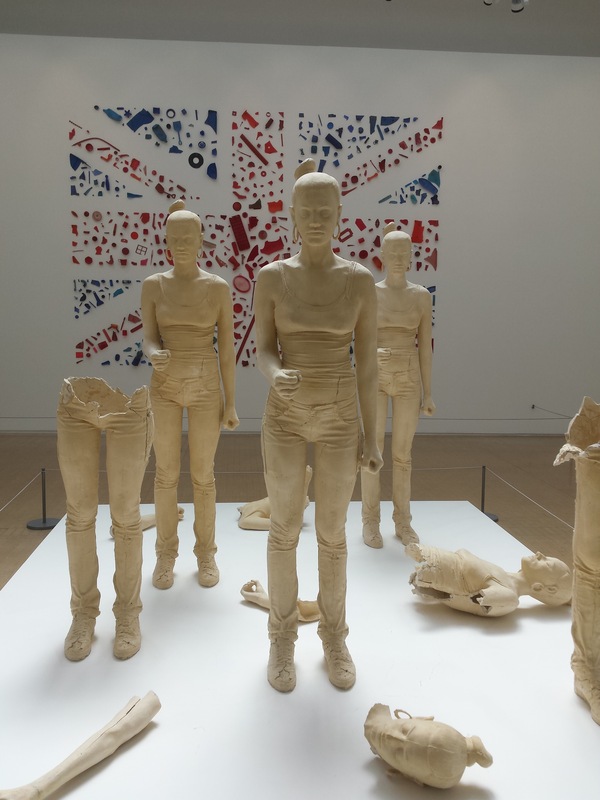 I do still plan to write about York at some point, but I should say here that what sculpture is to West Yorkshire, ceramics are to York – well, there’s no triangle, but the Centre of Ceramic Art at the York Art Gallery is a real centre of excellence. 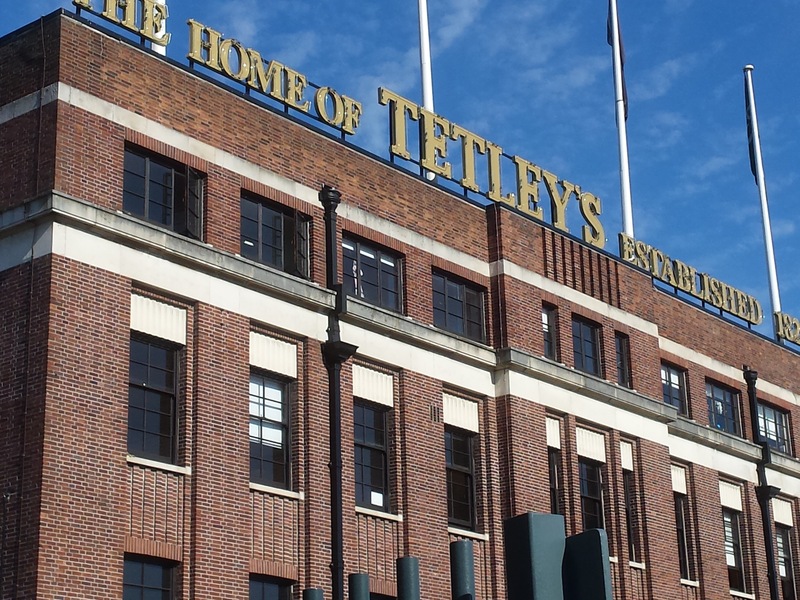 It never produced the greatest beer, but the Tetley Brewery has been a Leeds icon for two hundred years – when they finished brewing just south of the city centre, their grand Deco headquarters block was reopened with great fanfare as a cultural centre, The Tetley – there’s not actually a lot happening there as yet, but it has a pleasant bar and restaurant, serving pub grub such as Tetley’s ale and beef stew, what else. There are some far funkier community-driven arts spaces here, such as Seven Arts in Chapel Allerton, the Brudenell Social Club and Hyde Park Book Club) (yes, really), both to the northwest of the centre and putting on a lot of live bands as well as other events. There are some other good museums here, such as the Thackray Medical Museum (far more fun than you might think) and the Leeds City Museum, which gives a great overview of its development from near-total obscurity (Leeds may be on the site of the Roman settlement of Campodinum, later a minor residence of King Edwin of Northumbria) to developing as a town in the seventeenth century followed by mass industrialisation in the nineteenth century. It was the monks of Kirkstall Abbey, established just three miles to the west in 1152-82, who created the local textile industry, but the wool was processed in rural homes until around 1800, when factories began to take over. Leeds had been connected to Hull and Europe by the Aire & Calder Navigation since 1700, but in 1818 the Leeds and Liverpool Canal connected it to the Atlantic and the rest of world. The Middleton Railway, opened as a horse waggonway bringing coal in to Leeds, became in 1812 the world’s first railway to use commercially successful steam locomotives (it’s now a volunteer-run heritage railway), and the Railway Foundry, opened in Hunslet in 1838, was the first to produce a standard range of steam engines (notably the Jenny Lind class), rather than each railway building its own. 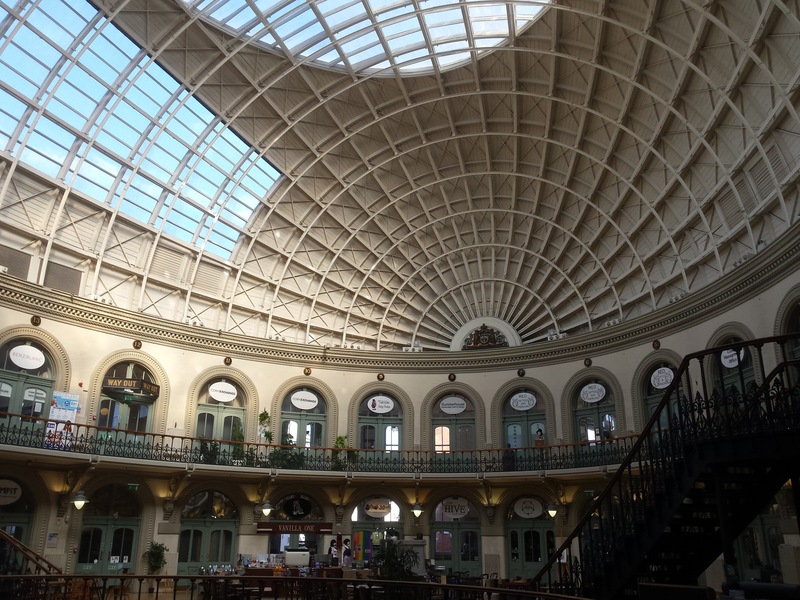 A prosperous manufacturing centre, Leeds also became known for its grand shopping arcades (still pulling them in), and as the birthplace of Marks and Spencer (as the ‘Penny Bazaar’ stall in Kirkgate Market) in 1884. The museum also galleries dealing with Life on Earth and Ancient Worlds (Egyptian, Greek and Roman), as well as one of the Leeds Clocks made by John Harrison (born in Foulby near Wakefield in 1693). The ruins of Kirkstall Abbey are worth a visit (and have a new railway station), as is Temple Newsam House. I also like the look of Thwaite Mills, on an island in the Aire & Calder Navigation; less than three miles east, where there are two waterwheels over two hundred years old and the Georgian Thwaite House, restored to its 1940s condition – opening hours are fairly limited outside local school holidays, but I hope the place will gather momentum. The area between the Aire and Calder Navigation and the new south entrance to the station is a lively regeneration area, with canalside cafés and hipster bars under the railway arches – the most striking way to reach it is by the virtually traffic-free roads under the railway that cross the long-hidden river, its arches and tunnels artfully lit in changing colours. The Kirkgate area is more genuinely hip, with places like Crowd of Favours (a food-focussed pub, but it serves food only to 19.00 on Sundays, by which time they’re worn out after serving Sunday ‘lunch’ all day – a trend I don’t really agree with) and Wapentake, a rather amazing combo of café, bar and artisan bakery, with lots of vegetarian/vegan options (they serve brunch from 07.30 (10.00 at weekends) to 16.00 and the main menu from noon to 21.00 (19.00 Sun/Mon), which works a bit better for me). I also like the look of Knave’s Kitchen, a vegan junk food stall (lots of seitan and tofu) near the Corn Exchange (built in 1861-3, an amazing space with a very striking roof that now houses speciality shops). Of course there are hundreds more eating and drinking options in Leeds, especially in the student areas north of the centre. Leeds station is now amazingly busy, and can be quite a bottleneck. The TransPennine rail axis is one of Britain’s busiest commuting and leisure routes, and has not been well served by a policy of cramming in lots of three-car trains (between Liverpool, Manchester, Huddersfield, Leeds and York) rather than accepting the need to just double the length of the trains (and the platforms). Electrification has been cancelled, but a few longer bi-mode and diesel locomotive-hauled trains are to be introduced from 2019.